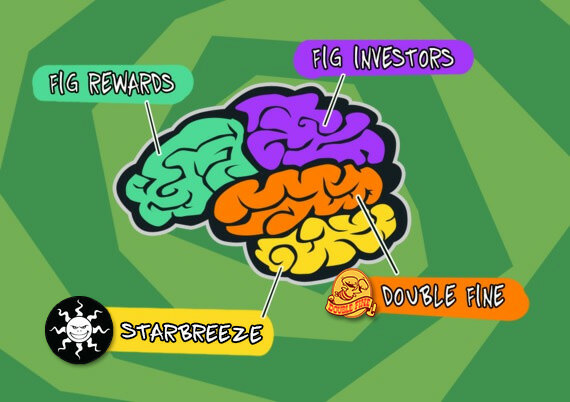 We’re very happy to announce that Psychonauts 2 will be published by Starbreeze Studios! These guys are developers now turned publishers. You’ve probably played one of their games, like the PAYDAY-series that they are maybe most famous for, and also one of our favorite games in recent years, Brothers: A Tale of Two Sons. We’re really excited to be working with a publisher that has such a strong background in development, it makes them a perfect partner in our eyes—We’re confident this will be a great marriage, and that our game babies will be the most handsomest of all time. If you’d like to read more about the specifics of the deal, you can do so here. You can also read more about it in our latest Psychonauts 2 project update, over on Fig.